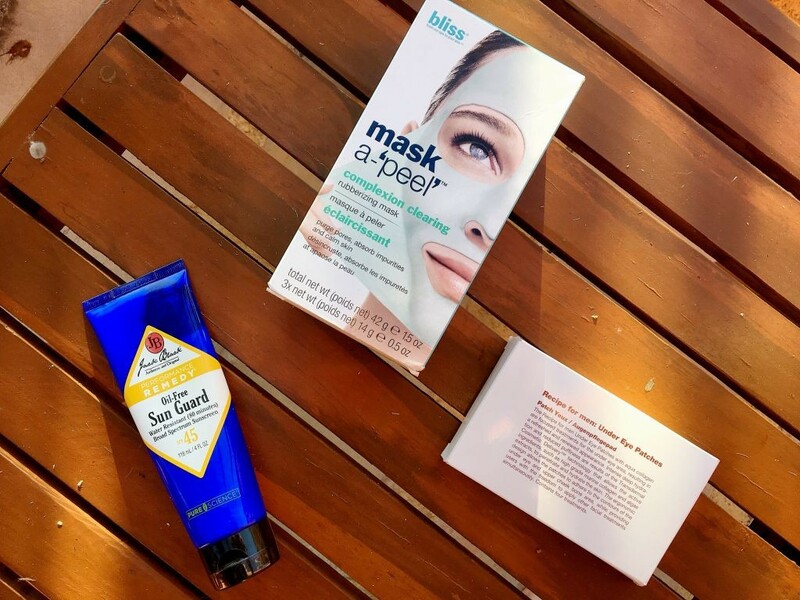 Having never used peel masks, eye patches or an oil-free sun guard before I was excited to see how they performed. So I packed my bags, jumped on my flight and began putting them through their paces in the Mexican heat. I chose the peel mask as I find that, when travelling, I rarely feel like the skin on my face is properly clean. With sun cream, sweat, smoke and dust being daily issues it’s easy for skin pores to get clogged up and result in outbreaks of spots. Ultimately, I was looking for a product that would not only clear my skin but also cool it and ensure my pores were able to breathe in the heat. Over the course of the 2 weeks, I managed to use this multiple times and got to put together some thoughts on what I liked and didn’t like about using it. Ok, so this product did exactly what I wanted it to once applied (I’ll come back to this later), it was a cooling mask that helped soothe my skin after the intense heat of the day and dry cold of the air conditioning. Once peeled away my skin felt clean and clear with little-to-no residue or stickiness or shine. Ultimately, the peel was great at clearing the daily grime from my face and helped keep spots to a minimum. There’s only one real issue with this mask but it is a big one, namely it is SO HARD TO APPLY! The instructions require you to mix it with cool water and then apply an even layer over your skin with the spatula included. When I tried this the first time, I got half way across my face before the mixture dried to putty like substance and basically became unusable. So the second time, I went as quickly as possible using my hands and the results were bumpy but i had coverage across my face. At this point I only had the simple task of removing it. Easily done, right? NOPE! The packaging would have you believe it comes away smoothly as one clean mask, but this was certainly not the case with me. It came away in tiny scraps and bits and ultimately required me to go over my face with warm, damp cloth to get it all off as it was just so stubborn to peel away. The results from this mask are great, I cannot argue with that. However, the application is something of a minefield and you are likely to struggle with the first one you use because of how quickly it dries. Having said that, it was particularly warm where I was so this may not be the case when you’re not in baking heat. So I got these for two main reasons, mainly because when I go on holiday the skin under my eyes tends to get quite dry and I wanted something that would help keep it hydrated. I also tend to have quite circles under my eyes and apparently these help with that as well so I figured I’d give them a shot. They’re super lightweight, are self contained and don’t require too much fiddling to get right so figured I would give them a whirl. 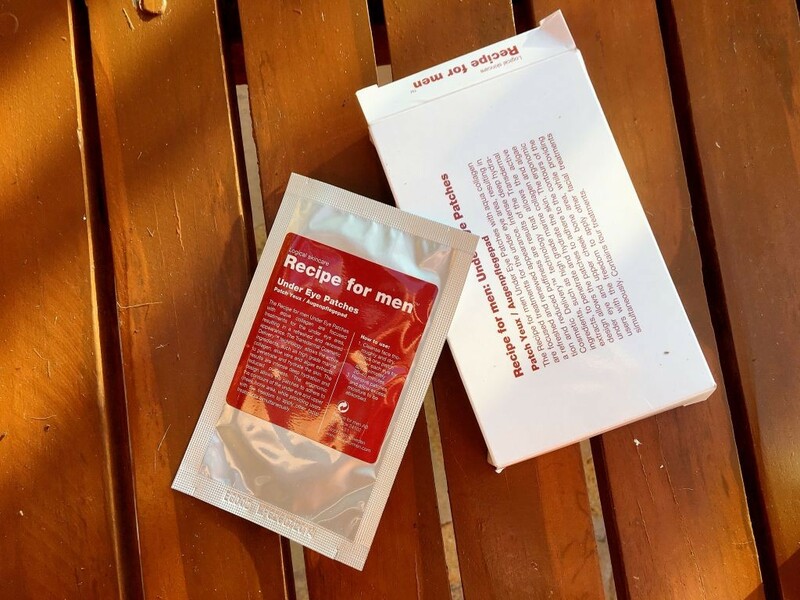 Applying the product is really one of the easiest I’ve ever done for an eye treatment since starting the blog, you simply open the packaging, peel away the protective paper and place under your eye, allowing them to fit the natural curve of your eye. Then…that’s it. You just leave them and go do something not so strenuous. You don’t need to close your eyes so you can read, watch TV, go for a walk (though you might get the odd look) or just lay down and relax. Once the time has passed you simply peel them away and allow any residue moisture to be soaked into the skin. If I have any issue with these it’s that you do have to leave them on for a while. This isn’t a quick 10-15 min treatment, it recommends you leave them on for 30-40 minutes meaning you spend the best part of an hour on one area of your face. As far as results go, my eyes were much less dry throughout the holiday and I felt my dark circles were reduced. They also were a great way of cooling the skin around my eyes after some of the later nights out in Mexico which was an added bonus. Definitely worth investing in for those of you who struggle with similar skin issues. I don’t know about you, but I genuinely hate the way my skin feels after applying sun cream. Often it feels sticky and oily meaning everything I touch gets a thin layer of sun cream grease over it despite my best efforts to prevent this. I had been recommended this product as an alternative as it has no oil, thus preventing the majority of the greasy feel and ensuring stick is left less sticky. 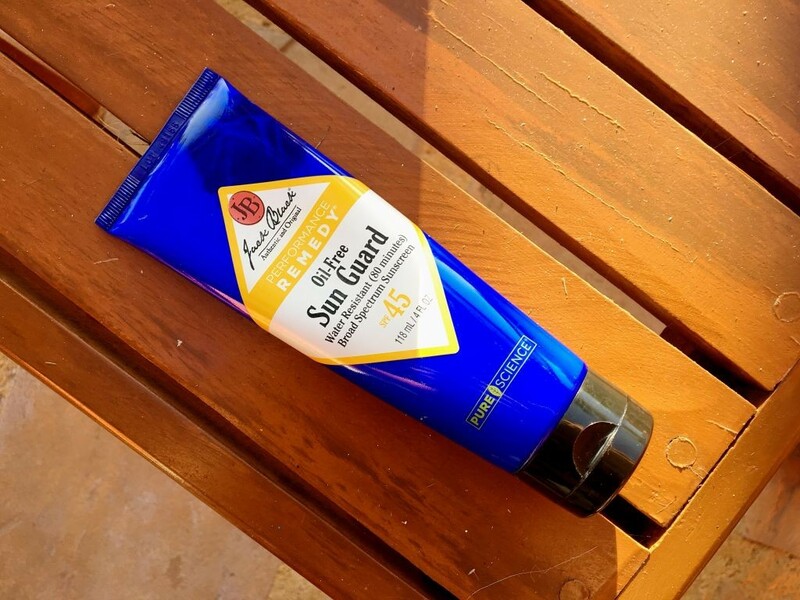 This is a great sun cream that you only really need to apply once (due to the high SPF) and does leave your skin feeling mostly smooth and relatively dry. The quality of the product is immediately obvious and, once applied, you can forget about it as it lasts so long. It also doesn’t sweat off easily so can be relied on in warmer weather, unlike other creams which can be washed away by perspiration. You do have to put in the time with this product. It is a VERY thick cream and takes time to be fully absorbed into the skin so a little goes a long way. I got a bit over-zealous with this the first time I applied it and ended up having to wipe away the excess as it was not being absorbed into the skin. This is certainly a holiday staple for me now and at £14.50 is really great value considering how long the tube will last you if not used excessively. Jack Black are generally renowned for their quality and this is a fine example of sun protection at its best from them. Definitely a must for the travel washbag. That just about wraps up my little grooming adventure with Mankind, thank you for checking it out. If you have any questions or recommendations you would like to add, don’t hesitate to comment below and I’ll be happy to answer/discuss them. In the meantime, you can also sign-up to be notified of new posts and follow The Male Stylist activity.Also, don’t forget to follow me on Twitter or Instagram for style inspiration, gentleman’s musings and general fun.